A team of researchers from the Washington University School of Medicine have found that human cells have a way of detecting and mending DNA damage caused by some common chemotherapy drugs and by tackling this we may be able to increase the potency of certain chemotherapy drugs in the treatment of cancer. A team of researchers from the Washington University School of Medicine have found that human cells have a way of detecting and mending DNA damage caused by some common chemotherapy drugs and by tackling this we may be able to increase the potency of certain chemotherapy drugs in the treatment of cancer. These new findings were published in the journal Nature. Researchers explain that some of the oldest chemotherapy drugs known as alkylating agents kill cancer cells by adding groups of carbon and hydrogen atoms to or alkylating DNA. For the study, they studied cells treated with alkylating chemotherapy drugs or with drugs that lead to other kinds of DNA damage. By doing so, researchers understood how cells try to mend DNA damage caused specifically by alkylating agents. These findings suggest that sensing alkylation damage is a major primary defense against chemotherapy drugs and other alkylating agents. Tumors that have high levels of key alkylation repair proteins are often dependent on them. If those proteins were somehow inhibited, the cells would die. In the last few years, a lot of research has also been done on foods that may help in fighting cancer. Here are five foods with anti-cancer properties according to science. 1. Long Pepper: US scientists have discovered a chemical in pepper plant (long pepper) called Piperlongumine (PL) that is found to have anti-cancer properties. 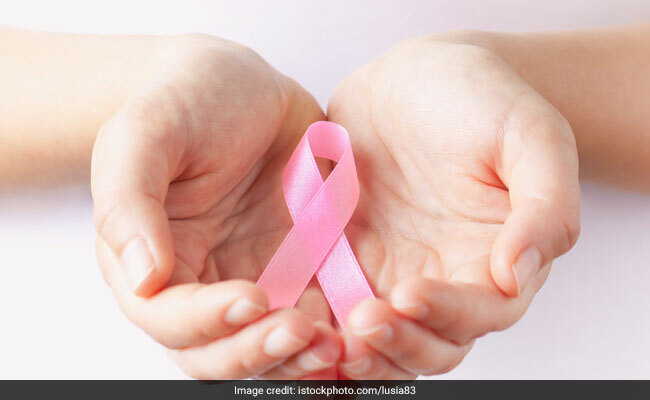 It has shown activity against many cancers including prostate, breast, lung, colon, lymphoma, leukemia, primary brain tumours and gastric cancer. 2. Broccoli: The Glucosinolates present in them is converted into isothiocyanates and indoles on consumption, which decreases inflammation, one of the risk factors of cancer. Beta-carotene promotes cell communication that helps control abnormal cell growth. 3. Blueberries: Blueberries have great antioxidant power, due to the presence of many phytochemicals and flavonoids like Anthocyanins, Ellagic acid and Urolithin. These are known to decrease free radical damage to DNA that leads to cancer. 4. Amla: Laboratory trials of amla extracts have shown its ability to kill and prevent growth of cancer cells while not harming the healthy cells. 5. Garlic: Studies from the US , China and France have all shown that consumption of garlic is associated with lowered risk of cancer. Garlic is a known anti-bacterial agent with the ability to stop the formation (2) and activation of cancer causing agents. As you already known that prevention is better than cure, it may help to include these healthy foods to prevent the risk of cancer.